The Hungarian Public Procurement Authority is the official body for public procurement tenders, the biggest of which are published in English language within the European Union Tenders Electronic Daily. Address: 1026 Budapest, Riadó utca 5. 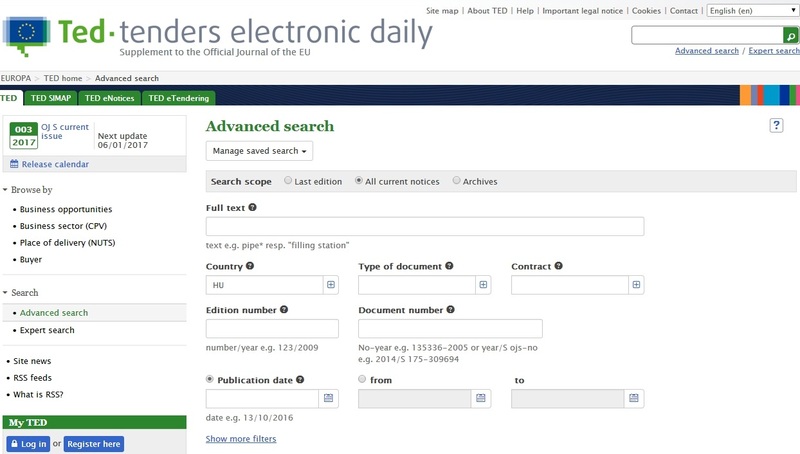 The European Union Tenders Electronic Daily (Ted) database is the main official source of English language public procurement tenders from Hungary.